Is Stress Sabotaging Your Small Business Success? Many people go into business for themselves to get away from the stress of a traditional job. But sometimes self-employment can bring its own set of worries, whether about difficult employees, challenging customers, or cash-flow woes. Some workplace hassles are unavoidable, but if you let stress get out of hand, it can sap your energy and contribute to health problems. To manage stress successfully, it’s important to pay attention to how you’re feeling and find time to recharge when necessary. 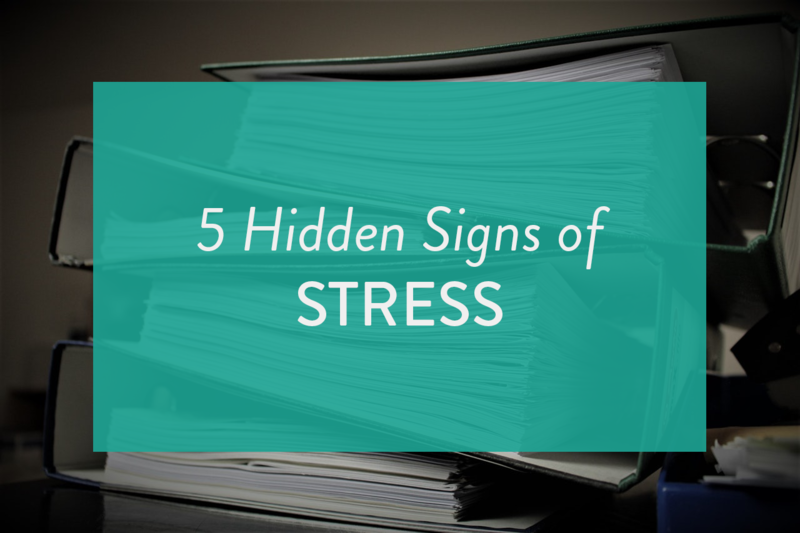 Here are five hidden signs you’re stressed–and some ideas on how to reduce the pressure you’re under. Your fuse is getting shorter. Maybe you’re snapping at your employees, blowing up at your kids or ranting when a barista at Starbucks gets your order wrong. If you’re overreacting to everyday frustrations, it’s time to look for the underlying reason. Is there a festering situation at work that you need to address? Are you trying to get too much done in one day and wearing yourself out? Is there someone in your orbit at work with whom it’s time to part ways? By identifying what’s really wrong and tackling it, you’ll lower your stress level greatly and reduce the chances of blowing up at someone who doesn’t deserve it. Sometimes, stress can affect your energy level. If you’re constantly “putting out fires” at work, chances are your adrenaline is pumping a good portion of the day. Eventually, there will be a letdown–and that can lead to exhaustion. The more you can head off workplace drama ahead of time through proactive planning, the less likely you’ll spend the day in flight or fight mode–and the more energy you’ll have at the end of the day. Set aside some time every week to figure out what your key priorities will be for each day of the week so you can stay focused on what’s important and avoid getting sucked into “emergencies” that really aren’t important in the long run. We all slip up sometimes but if you’re forgetting about big things like a key deadline on one of the projects you’re juggling, it probably means you’re maxed out and at your breaking point. When you’re in business for yourself, sometimes it’s feast or famine, so if you’re in a busy period, put systems in place to keep yourself on track. Create a Google sheet with key deadlines and check it regularly. Put reminders of milestones you need to hit in your calendar, so they pop up a week ahead of time–when there’s still time to get things done as promised. And check in regularly with yourself and your leadership team about whether you need to hire a temp or freelancer to keep the trains running on time. You’re not taking care of yourself. If you are forgoing a fitness routine that makes you feel good, eating junk food instead of healthy lunches and skipping out on activities that keep you connected to friends and family, it’ll eventually take a toll on you. Before you start feeling really bad, take a look at why you’re not able to take time out of your day to put “deposits” in your wellness bank. It’s easy to get sucked into an always-on mentality but living that way is a recipe for burnout—and probably won’t make you more productive in the long run. You can’t remember why you wanted to go into business for yourself. Some days it’s harder to run a business. If you’re having a bad week where everything seems to be going awry, you can lose touch with why you wanted to be an entrepreneur in the first place. We all have rough days, but if they are stretching into weeks, it’s time to take a few days off to figure out how you can change your situation. Are you getting overwhelmed by a particular area of the business? When that’s the case, you may need to find a partner to lighten your load or bring in an advisor to help you. Are you unsure of how to adapt to changing circumstances in your industry? Turning to a trusted mentor, colleague or advisor may help you come up with strategies to adapt. It’s easy for stress to overwhelm you if you try to tackle everything alone. Fortunately, if you’re willing to ask for advice, you’ll find there are plenty of people willing to help you reach your goals.